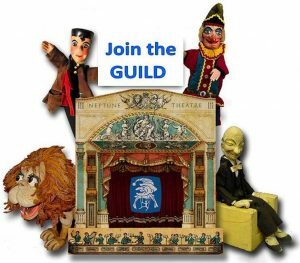 Whether you are a professional performer, a teacher, a maker of puppets or a young person wishing to pursue puppetry or model theatre as a hobby or past time or simply want to know more, everyone regardless of age or ability can apply to become a member of the Guild. We are a long established, friendly organisation and experienced members, each experts in their own right, are willing to share a wealth of experience in many areas of puppetry and model theatre and are always willing to share their knowledge to encourage others to learn more. The Guild holds regular meetings across the UK at which Members can exchange views, gain experience through workshops and watch performances.